The Weight Loss Solution of 2018! Believe it or not, every month, the phrase “intermittent fasting” is searched on google almost a million times according to Google Trends and Kwfinder! Why? Simply, because the number of adopters of this weight loss solution has increased significantly throughout 2018 due to its efficient and speedy weight loss results. With this huge number of people interested in intermittent fasting, it seems that it’s actually working and its popularity is clearly growing as shown in the images above. Let’s dive deeper into this article to learn more about this dieting system. Put simply, it’s a weight loss method that mainly depends on building a disciplined eating habit. Okay, that’s still not clear, how can it build disciplined eating? Well, intermittent fasting has a lot of types, all of which having the same concept of allowing you to eat at certain times of the day, and preventing you from eating at other times. But wait, that doesn’t mean that you’ll be eating burgers and pizzas at your non-fasting times. Although most intermittent fasting plans don’t restrict certain foods, eating junk food won’t help you throughout your fasting hours and won’t provide the desired results that you’re looking up to. You’ll need to eat healthily to provide your body with all the needed nutrients to ready up for your upcoming fasting hours. I’ll go deeper into this point later on. Higher insulin levels mean higher absorption of glucose by your cells, meaning you’ll be prone to gaining more weight. Fasting decreases insulin secretion and partially eliminates this threat. When you’re fasting, you might probably get an increase in your growth hormone, which sustains your lean muscles and your proper fat burning rate. Studies claim that when you fast for 48 hours you’ll increase your metabolism by about 3.6-14% which will improve your fat burning rate. Other than fasting, there are many other ways to increase your metabolic rate naturally. 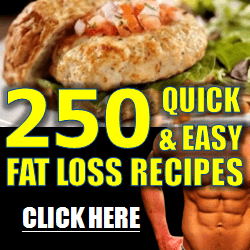 Get access to 250+ easy-to-prepare weight loss recipes for $10 instead of $29 for a very limited time! This was just a glimpse of the positive effects of fasting on your hormones, you can learn more about them through this article. I’ll be discussing in detail the pros and cons of intermittent fasting later on in this article. AKA: “16:8” or “Leangains”, the 16 hour fast is one of the most famous intermittent fasting plans in which its adopter usually skips breakfast and eats a meal at 12 pm and another one at 8 pm then fasts until the next day. Here’s what I was talking about, the “discipline” in eating will surely aid your weight loss progress. That’s just like the 16 hour fast but instead, it’s a 14 hour fast with a 10-hour window for eating. It’s recommended by specialists to start with such an intermittent fasting plan due to its few fasting hours. Most people adopting this type fast for 2 non-consecutive days, and eat normally for the rest 5 days of the week. According to Janielle Wright, a woman who has lost 65 pounds in six months by following an intermittent fasting plan, says that this type of intermittent fasting isn’t for beginners, as you must gradually increase your fasting times and not rush into long fasting periods directly. This type focuses on a weekly pattern instead of a daily one, you’ll have the ability to eat normally for 5 days, but you’ll get restricted to a 500 calorie intake for the other 2 days of the week. It’s not much of a fast but being restricted to only 500 calories will per day will force you to skip meals and eat much less than normal. A lot of people might be doing this one unconsciously. It divides the day into two equal halves, 12 hours fasting and the next 12 hours is your eating window. If you eat your dinner at 8 pm, the next meal would be your breakfast at 8 am, then you’re already doing this type of intermittent fasting. See, it’s that easy! This one’s very handy for those who spend the whole day working, they might even be doing it without realizing that! It’s based on fasting for the whole day and eating one large meal at night. It’s almost the same as the 24 hour fast but probably done on daily basis. That’s one of the harsh ones indeed, you should fast every other day. Yes, it’s quite exhausting just as it seems, that’s why it’s not recommended for beginners. If you’re not the kind of person that will thoroughly follow one of the above-mentioned plans, then this one’s for you. This time, you’re not obligated to fast for some certain hours but you should rather skip some meals randomly when you’re able to. Don’t hesitate to do so every once in a while, you won’t get the same output as someone adopting another intermittent fasting plan, but you’ll definitely receive some good compensation for your efforts. Well, that totally depends on your daily routine. If you’re the kind of person who’s at work for the whole day and don’t bother to sacrifice some of the food that you usually eat at work, then the warrior diet should be your choice. Most people find the 16:8 fast the easiest, as it’s somehow similar to our usual daily lives. You can have a meal at 12 pm, then another one at 4 pm and the final one at 8 pm then start your fasting till the next day. As a beginner, you must try going gradually, you can start by following the 16 hour fast until your body gets used to it and you’re not experiencing any overtiredness, then you might go for the 24 hour fast. You can gradually increase your fasting hours more than that, some people reach a 72 hour fast normally. According to a study, a human can survive up to 30-40 days without food, as long as he’s/she’s properly hydrated. You won’t fast for this long of course, it’s just a safety measure to show you that even a 72 hour fast wouldn’t cause any problem although there are some other safety precautions that I’ll be talking about later on in this article. You must take extra care during your eating window as it’s probably not more than 10 hours per day, so you’ll have to fuel up your body with all the nutrients that it needs to successfully complete a minimum of a 14 hour fast. As I’ve previously mentioned, for most intermittent fasting plans, you’re not obligated to eat certain foods, but those examples would aid a better weight loss progress in the shortest period of time. There are many other weight loss friendly foods that you might like to try. Good news is, drinking water, coffee, or any other non-caloric drink is a must during fasting, especially if you’re on a 24 hour fast or more. The golden advice that is given by nutrition specialists to those who are willing to lose weight, even for those who aren’t on an intermittent fasting plan, is to drink A LOT of water! Water will provide you with the needed sense of fullness to continue your fast without struggling. In addition to those drinks mentioned, any other non-caloric or low-calorie drink is okay. Not all fasting plans have zero calories during their fasting days, some have a few calories. As mentioned before, the 5:2 fast will restrict you to 500-600 calories during a fasting day, that’s when a low-calorie drink comes in. It has been proven that fasting would play a role in increasing your lifespan, an experiment was conducted on rats that showed a 36-83% longer lifespan for fasted rats. You can learn more about this through this article. Probably due to the increased production of tumor-killing cells and the improved regeneration of immune cells, fasting reduces the risk of having cancer and makes its treatment easier by reducing the side effects of chemotherapy. By stabilizing your blood pressure and reducing your weight, fasting might also assist in preventing some fatal heart diseases. Fasting can improve your renewing of nerve cells, that’s why it’s the main reason why you can recognize a rise in your focus levels in the long term, and it’s also a reason why fasting can help reduce the risk of Alzheimer’s disease. Especially at the start, you’ll probably encounter some lack of energy during the day, that’s why the toughest phase of intermittent fasting is the beginner phase. But, by the time, you’ll get used to fasting and you’ll be good to go. Due to the small number of meals and the little amount of time available between them, you’ll probably feel annoyingly full during your eating window, you can solve this by eating on stages and not eating a huge meal at once. Sometimes, intermittent fasting backfires! You’re following a fasting plan to get off some pounds but then you realize that you’ve gained weight instead. That’s an indication that you’ve been eating horribly wrong. Brad Pilon, the guy who started the 24 hour fast, says: “A slice of birthday cake is okay, but the whole cake isn’t!”. You’re not restricted to certain foods, but if you’re eating excessive amounts of unhealthy foods during your eating window, you won’t be happy with the final result. Not really into fasting? No problem, there are other weight loss methods that you can give a try. A lot of people wonder whether it is possible to exercise during a fasting day or not, it’s pretty normal to do so. It actually helps burn more fat than on ordinary days as when your body detects a deficiency in glycogen, it searches for another energy source, which is fats in this case. On the other hand, if you’re going to exercise during fasting, you shouldn’t go for high-intensity exercises, maybe some low-intensity cardio, like going for a brisk walk, would do just great. And of course, you should focus on eating high-protein foods during your eating window. If you’re going through any of those cases, then you MUST consult your doctor before starting an intermittent fasting diet. And now’s the time for my favorite part of this article, some motivating examples who have tried intermittent fasting and has worked really well for them. Dr. Kevin Gendreau was able to lose 125 pounds in about 18 months by following an intermittent fasting diet! Another magnificent example is Janielle Wright who has lost 65 pounds over a 6 months period! Going from having difficulties of sitting on the ground to play with her daughter to easily sitting and enjoying her time. First of all, I suggest you talk to your doctor before taking off just to make sure it’s completely safe for you to start an intermittent fasting plan. Start gradually, don’t rush into a 24 hour fast while you’re fasting for the first time. Drink A LOT of water! Black coffee and tea would also help. Finally, don’t hesitate to hit the gym or do some cardio training as long as they’re low-intensity exercises. This will boost your fat loss rate and preserve your lean muscles. Depending on the type you’re following, some types require full fasting with only water allowed, other types can tolerate small amounts of calories. Which intermittent fasting is the most effective? Again, that depends on your daily habits, but typically, the longer the fast, the more efficient it becomes. The most common fast is the 16:8, I also recommend trying the 24 hour fast but after some time going with the 16 hour fast. Will Intermittent fasting get me ripped? Yes, as long as you’re eating healthily and doing low-intensity exercise, you’ll lose weight without losing any lean muscles or with a minimal muscle loss, which will tone your body up. Nope, it actually reduces blood pressure a little, that’s why it’s not recommended for those who already have a low blood pressure. Will intermittent fasting make me tired? As a beginner, you’ll feel some lack of energy during the day. But, as soon as you get used to it (which won’t take long), you’ll be good to go. The reason why Intermittent fasting has been growing in reputation is obvious, the benefits gained from this dieting system clearly overcome its disadvantages. Its adopters tend to choose it over hundreds of other weight loss solutions due to its simplicity and its diverse types that cover most of its adopters’ routine styles. Most people are fed up with weight loss products and strict diet plans, intermittent fasting is FREE unlike most weight loss solutions available nowadays and that’s one of the reasons why it’s getting more famous. Eating healthily during your “feasting” window is a must. In order to ensure the best fasting experience free of obstacles, you must fuel up your body with the needed nutrients. In addition to eating healthily, I can’t stress enough on the importance of water and other drinks during your fasting and feasting periods, always keep a bottle of water beside you throughout your day. Feel free to drop your thoughts in the comments section below, or if you have any success stories you’d like to share, we’re willing to hear from you. Thank you for share your amazing motivational video and picture. I have read the whole article. I think it is the best way to lose weight. Hi, I have read the whole article and it and this approach sounds extremely good. For me the most effective method was detoxification, but I could combine this intermittent fasting approach with the detox program that worked well so far?